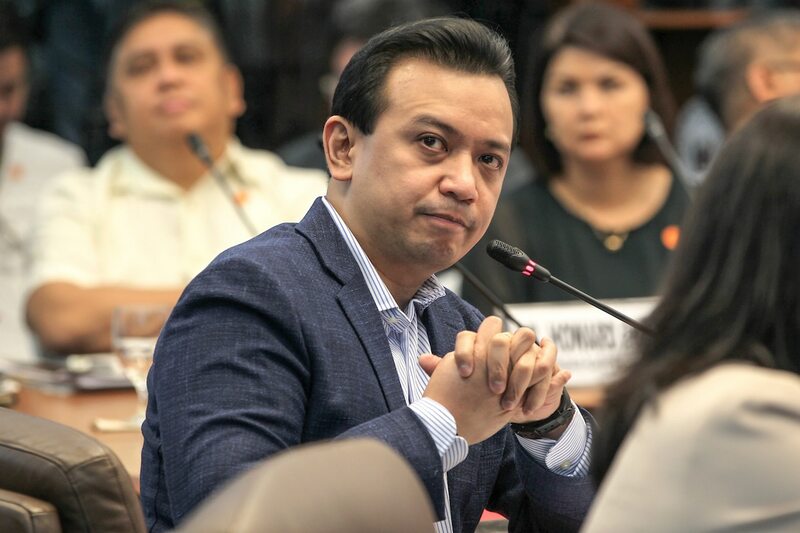 MANILA - Senator Antonio Trillanes IV on Tuesday said he will stay in the custody of the Senate and will not turn himself over to the arresting authorities waiting for him. The mutineer-turned-lawmaker, whose amnesty was invalidated by an order by President Rodrigo Duterte, said he received "assurance" from Senate President Vicente Sotto III that "he will not allow any arrest" as long as Trillanes is within the premises. "Sa akin kasi, hindi yung pagsa-subject dito sa arrest kasi nakulong naman ako before at hindi naman sa hinahanap-hanap ko ‘yan, but it’s something na hindi ko aatrasan," he told reporters. "What we are questioning is the principle behind it. This is a warrantless arrest so we need to fight this," he said. Trillanes said his lawyers will file necessary petitions before the Supreme Court to resolve the "kalokohan" (nonsense) spurred by Duterte and Solicitor General Jose Calida. "This is a warrantless arrest, maliwanag yan. Yung arresting officers ay walang warrant. We’re living in a de facto martial law environment of the 70s time," he said. Trillanes said all cases against him have been dismissed and he has complied with all the necessary documents for his amnesty application. He insisted, nowhere in the world has amnesty been revoked. "Ito, gumagawa sila, binabaluktot nila ang batas para lang magawa nila yung kanilang political objective, which is to persecute the political opposition," he said. Trillanes would be the second opposition lawmaker to be ordered arrested under Duterte's term.